A born and bred Californian, Sabatino is the eldest of four children. It was during his senior year at the University of California at Irvine that he auditioned for a school play on a lark. The play’s director was so impressed by Sabatino’s work, that he promptly offered him the lead. The actor went on to make his professional debut in the play, Sweet Bird of Youth, with Ed Harris at the Gene Dynarski Theater in Hollywood. In 1982, he landed the menacing role of Chip Roberts on the nighttime hit, KNOTS LANDING. 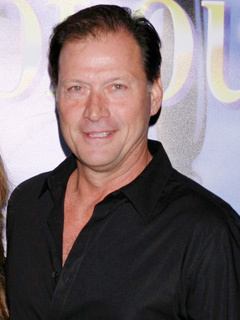 A series of prime-time guest spots followed with Sabatino eventually landing yet another menacing role, Lawrence Alamain on DAYS OF OUR LIVES. An avid athlete, Sabatino enjoys spending time in the great outdoors hiking, skiing, mountain biking, backpacking, golfing and scuba diving. He lives in Los Angeles with his wife, Crystal Chappell, and their two sons, Jacob and Dylan. A former champion pole vaulter, he placed 13th in the 1976 Olympic trials. Set a school record at the University of California, Irvine for the pole vault of 17 feet. Once performed with an all-accordion band called The Bullwinkle Accordion Band that played at rest homes and hospitals for the elderly in Southern California. Is a fan of singer Tom Jones. Was nominated for the Soap Opera Digest Award for Outstanding Villain in 1993.